With our Tree Maintenance Plans for residential and commercial properties in Western Vermont, you’ll know that your trees will be cared for by friendly and knowledgeable professionals for years to come. 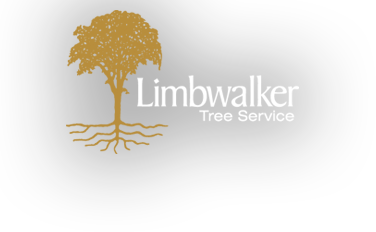 For planned developments and residential communities, we typically perform a yearly or bi-annual walk-through with the property manager, or a member of the homeowner association, and make recommendations for tree planting, tree pruning and tree removal. We note any issues we feel are important to address promptly due to safety concerns, and then provide a price for each service we’ve recommended. This customized price list can then be reviewed by the board, and services can be chosen based on the budget for that particular year. Similar to Homeowner Associations, we create a customized price list, or tree maintenance menu, for Vermont’s colleges and universities. Our focus begins with the most used and significant area and make recommendations for tree planting, pruning and removal. We then work with your administration or on our own to select projects from this menu based on priority and budget, always focusing on safety first, addressing any major hazards, and then enhancing the beauty of the grounds. Trees can offer a variety of benefits from shade, flowers and privacy to attracting wildlife and shaping your property, so we always start with a conversation about your priorities. Maybe you want to create a park-like setting, with larger, fully crowned trees, or perhaps you’d like to accent a specific landscape feature. Our certified arborists will develop a plan to achieve these goals over several months or years, including recommendations for possible planting, pruning, and removal options now and in the future. For cities, towns and villages, we typically focus on the trees that line your streets and roads. We offer tree inventory services, regular tree pruning to ensure that safety and clearance codes are met, and the removal of dead or dying trees that may pose a threat to the public. We can also manage your planting efforts and assist with tree maintenance in your community’s parks and recreational facilities.